Stena Line is offering special savings for car and motorcycle passengers this January with a discount of up to £50 on “flexi” fare return car bookings made on its Harwich - Hook of Holland route. Car drivers will be able to enjoy prices as low as £88 for a flexi return with adult passenger prices starting from as little as £24 return. Motorcyclists can also save £25 on return flexi crossings, paying £65 instead of £90. Stena Line’s flexi fares allow changes to bookings without any amendment fee and come with a 100 per cent refund for cancellations up to 24 hours before departure and a 50 per cent refund within 24 hours before departure. The offer must be booked between 7 January 2013 and 31 January 2013 and is available to both car and motorcycle for travel between 7 January and 31 December 2013. Once onboard, families will be able to enjoy hotel-like facilities, including Swedish-designed Dux beds in the cabins, an a-la-carte restaurant and free Wi-Fi throughout the ferry to Holland, as well as excellent facilities for children, including an onboard cinema, children’s play area and even a basketball court. Flexi-car fares start from £69 one-way for a driver and car. Additional adults start from £12 one-way, and children (up to 15 years) start from £6 one-way. Offer applies to travel only and does not extend to onboard facilities, cabins or meals. A £10 service fee per booking applies to all bookings made by telephone. Every year more than 450,000 people cross the North Sea between the UK and Holland with Stena Line, the largest ferry operator in Europe and one of the largest in the world. 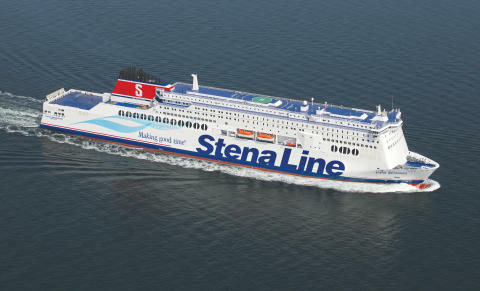 In the UK alone Stena Line, which operates Europe’s most comprehensive route networks, offers four daily crossings on its Harwich to Hook of Holland route as well as over 30 daily crossings on its various routes to Ireland providing fast and efficient crossings with excellent onboard services and facilities.